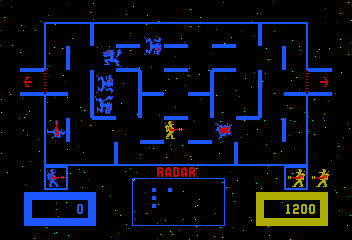 OverviewWizard of Wor is a arcade game developed by Midway that was ported to Atari 2600, 5200, 8-bit, and Commodore 64. Emulated versions appear on Midways Arcade Treasures 2 (PS2/Xbox/GC), Midway Arcade Treasures Extended Play (PSP), and Midway Arcade Origins (360/PS3). Now you can add videos, screenshots, or other images (cover scans, disc scans, etc.) 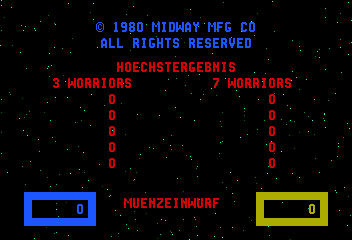 for Wizard of Wor (with German Language ROM) to Emuparadise. Do it now!